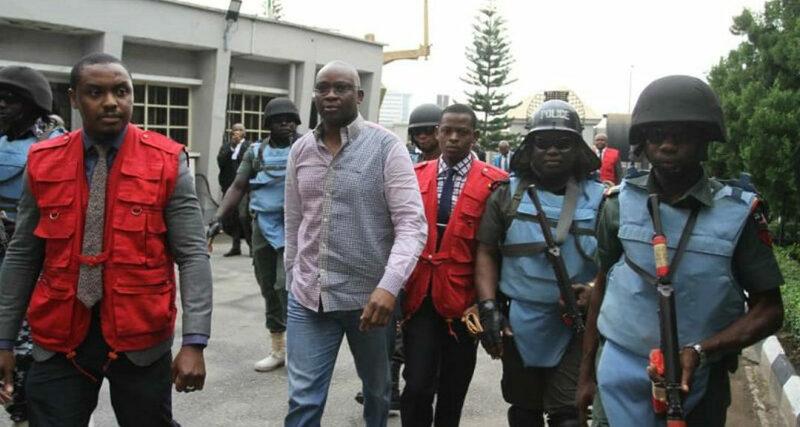 The trial of former Ekiti State Governor Ayodele Fayose for money laundering was stalled yesterday at the Federal High Court in Lagos. A court registrar said the trial, billed to continue yesterday, would resume today instead. It was learnt that Justice Mojisola Olatoregun was away on another official assignment. The case was adjourned on Tuesday for continuation of former Minister of State for Defence, Senator Musiliu Obanikoroâ€™s cross-examination. Defence lawyer Olalekan Ojo (SAN) had sought to tender a statement by Justin Erukaa at the Economic and Financial Crimes Commission (EFCC). EFCC lawyer Rotimi Jacobs (SAN) opposed the tendering of the statement on the ground that it was not made by Obanikoro, who was being cross-examined. He said Obankoro could not be questioned on it. But Ojo said he did not intend to cross-examine Obanikoro on the statement but that it was important to the defence. Justice Olatoregun directed the counsel to address her on the admissibility of a statement by a person interrogated in the course of an investigation but who is not giving evidence. She was to rule on the statementâ€™s admissibility after being addressed by counsel, but her absence stalled it. Obanikoro had testified that he did not believe that the N4.6 billion sent to him from the Office of the National Security (ONSA) in 2014, out of which he gave Fayose N1.2 billion and $5 million, was an illicit fund. The former minister said he was worried that the money he received from former National Security Adviser (NSA) Col. Sambo Dasuki (retd) â€œfor security purposesâ€ was described as illicit. Fayose is on trial for allegedly receiving and keeping N1.2 billion and $5 million reportedly stolen from ONSA, contrary to the Money Laundering Act. EFCC said Fayose and Biodun Agbele, who is facing a different charge, allegedly took possession of N1,219,000,000 on June 17, 2014 to fund the former governorâ€™s 2014 campaign. The commission said Fayose â€œreasonably ought to have knownâ€ that the money â€œformed part of the proceeds of an unlawful act, to wit: criminal breach of trust/stealingâ€. EFCC said Fayose, on the same day, received cash payment of $5 million from Obanikoro without going through a financial institution, despite knowing that the sum exceeded the amount authorised by law. EFCC listed Obanikoro as one of 22 witnesses to testify in the trial.